Home » Products » Imperial Russian Antiques » C1900 Imperial Russian 14 Ct Gold and Sapphire Cuff Links. 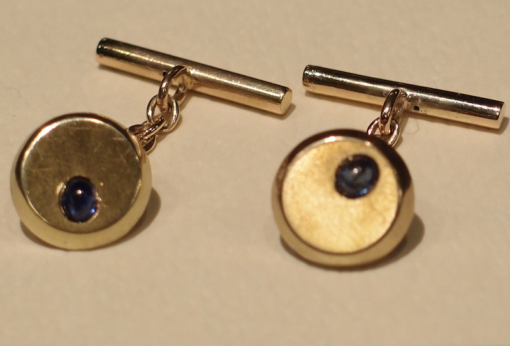 In each cuff link a disk of polished gold contains a cabochon blue sapphire. Each disk is stamped BK on the ring at the back. The central chain link is hallmarked with a kokoshnik mark looking to the right: 1908-1917. 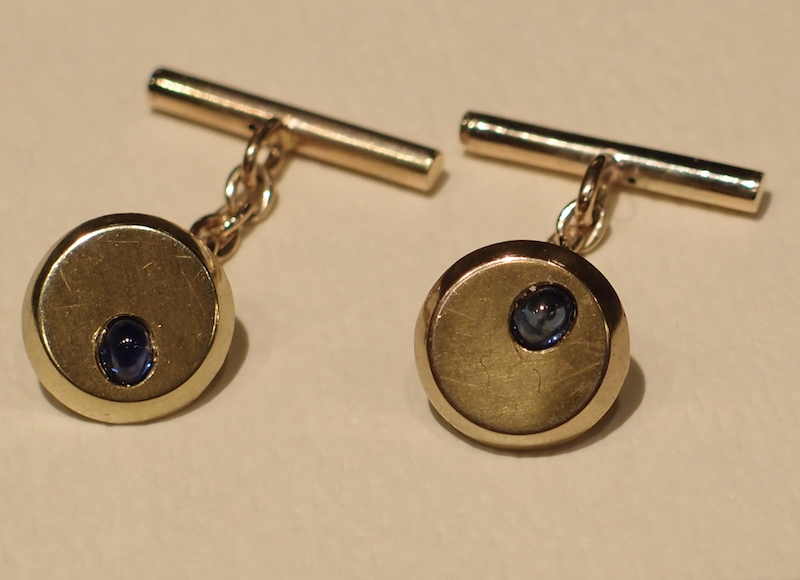 It is the round kokoshnik mark for elements weighing under 8.5 grams. The hollow straight tubular guard is not marked. They may be by the same maker as this bracelet: http://romanovrussia.com/antique/vintage-russian-gold-jewelry-bracelets/. The upper case BK sans serifs, with no pellets and in an oval cartouche certainly matches, as does the kokoshnik mark.